Do you want to launch your new business with all systems go? If so, this relentlessly practical, sure-fire guide to a successful start-up is for you. Whether you are launching a Falcon Heavy or a local accounting practice, your chances for success are directly related to the quality of the preparation. However, most small business owners hang their shingle woefully unprepared for the complexity of running a business. Launch and Grow Rich provides the needed road map and detailed tools needed to dramatically improve the chances for success. 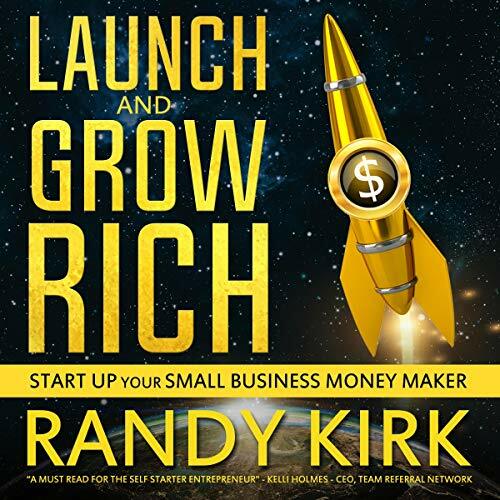 Author Randy Kirk has started up dozens of businesses and consulted with hundreds of others. There is no stone left unturned in creating a smooth path to profits. Why do you want an LLC? Why not a “C" or an “S”? Over the past 45 years, Randy Kirk has founded more than 24 small businesses, ranging from retail to manufacturing, advertising agency to business consulting, and mail order to Amazon. During the past 10 years, Kirk consulted with 180 companies including plastic surgeons, chiropractors, doctors, dentists, retailers, restaurants, importers, appliance repair, bankruptcy lawyers, personal injury attorneys, acting school, language school, chimney sweep, mortgage brokers, real estate agents. During the past year, Kirk founded SoCal MasterMinds and has worked with another 25 small businesses, including advertising agency, accounting firms, managed services, computer repair, online marketing company, and precision machine shops.